Bindi is incredibly passionate about all things startup in Europe and connecting the dots between Investors, Founders, Corporates and Government, and as a result, has worked in and around technology startups for most of her career. As a Consultant (PwC Consulting), as a Corporate (Microsoft BizSpark /Ventures), as a Startup employee (Trayport), as an Advisor (Startup Europe, Startup Weekend Europe, Tech London Advocates), as a Connector (GQ UK, the IoD and Evening Standard have all recognised this) and until recently, as their Banker (Silicon Valley Bank). The entrepreneurs have influenced her so greatly over the years, that she is building a Boutique Advisory Firm, focused on advising and connecting across four core Innovation pillars (Corporate, Startup, Investors and Government + Community) for commercial success. She currently sits on the Advisory Boards of seven startups and one Venture Debt fund, as well as Digital Advisory Board of Shop Direct plc (£1.9bn t/o business), the Advisory Boards of European Innovation Council, Startup Europe (EU), Tech London Advocates, Ambassador for Innovate Finance, and just finished a term as trustee for TechStars Startup Weekend Europe. She joined Silicon Valley Bank as Senior Vice President, where she focused on building out SVB’s early stage banking efforts in Europe, as well as driving the Bank’s relationships with Corporate and Emerging VCs. Her passion for entreprenership was cemented as Venture Capital/Emerging Business lead at Microsoft UK. For five years, she lead BizSpark in the UK. (now Microsoft Ventures). She focused on how Microsoft could drive success for early-stage technology companies, and also partnered with the UK Investor Community. She’s an active mentor at top London Incubators including Seedcamp, TechStars, Startupbootcamp, WAYRA, JLab, Microsoft Ventures & Level39. From 2014-17, Bindi has been named by Computer Weekly as one of the 50 Most Influential Women in UK Tech. In 2017, she was named as one of the Top 100 Asians in UK Tech, In 2015/16, Innovate Finance named her as Top 100 Women in FinTech , and Business Cloud Magazine named her as Top 100 Women Blazing a Trail in Tech (2016). In late 2015, Bindi was named Asian Women of the Year at the UK Asian Achievers Awards. In 2014, London Evening Standard named Bindi as part of the Silicon 60 and Top 1000 Influential Londoners, and GQ Magazine named her in Britain’s 100 Most Influential Women List. In 2013, The Guardian named her as one of the Ten Women in Tech to meet; Tech City News named her as one of the 25 faces behind the success of Europe’s fastest growing Tech Cluster. 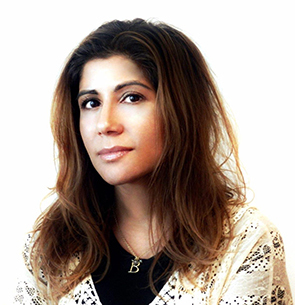 Bindi has been on the Wired UK Top 100 Digital Power Broker list from 2010 – 2012, on 2012 Girls in Tech Euro 100 Women’s list, one of the Six Most Connected Women in the UK (IoD) in 2011. She is a regular speaker and judge at Technology Events around the World. Bindi was born in the UK, raised in Canada, her entire family is from Kenya, but the lure of Europe especially London, bought her back and kept her there!